Call for participation: The Sentinel Project has launched a new research project focused on the use of drones for development and humanitarianism in the Global South. We’re looking for people and organizations working with this technology around the world to participate in interviews about your ideas and experiences. See the bottom of this post for details. Followers of the Sentinel Project’s work will know that we are strong advocates of using unmanned aerial vehicles (UAVs or drones) for improving human security and peacebuilding in conflict areas. We see the potential for UAVs to perform roles such as local area surveillance and reconnaissance to warn civilian populations about incoming threats, verifying information to combat misinformation, and documenting atrocities if they do happen. This technology can also bring added benefits to humanitarian and development efforts by playing such roles as search and rescue, land use mapping, and cargo delivery. That’s why we have now launched a project with the support of the International Development Research Centre (IDRC) to look at how UAVs are being used to improve lives throughout the Global South and how government policies affect these innovations. The Sentinel Project team has taken several concrete steps towards our UAV goals by initiating the Sarus Humanitarian Aerospace program, which has involved building up a fleet of various fixed-wing (airplane style) and rotary wing (helicopter style) UAVs to fill different roles, sending our team members for pilot training, and getting to know the increasingly complicated legal and regulatory landscape surrounding UAVs. While this last part is certainly not the most exciting aspect of our work, it is crucial and has definitely been the source of our greatest challenges and opportunities to date. Our challenges so far have come in the form of unclear and slow-moving regulations in countries like Kenya, which is normally a technology leader and our preferred testing ground for the Sarus program but regulators in this case have been slow to develop an environment in which innovation can happen, preferring instead to implement a blanket ban on UAV usage until some unspecified time. At the same time, other countries in Africa (and indeed around the world) are moving quickly to embrace UAV technology and its potential humanitarian and development benefits. For example, Rwanda has become home to a growing network of cargo delivery drones rapidly carrying important medical supplies like blood for emergency transfusions. 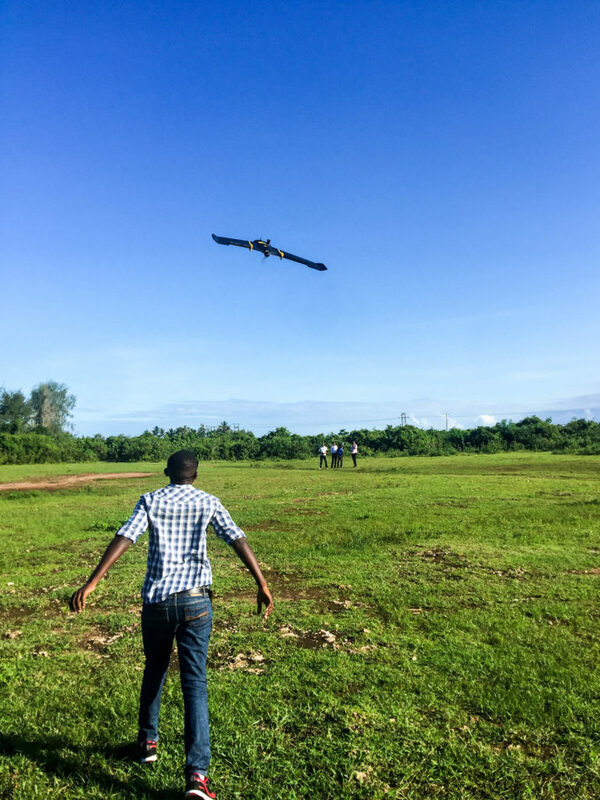 In Tanzania, a group of drone pilots are making the first comprehensive aerial map of Zanzibar in order to provide open source data which can inform land use planning, disaster response, and countless other applications dreamed up by anyone who uses the map. Another fascinating example comes from Malawi, where UNICEF and the government have established a “humanitarian drone corridor” in order to permit freer experimentation and testing by NGOs that want to use UAVs. Of course, these developments are not limited just to Africa and similar efforts can be seen all around the world, especially in developing countries. The common theme in all of these examples – whether positive or negative – is the role of government policy and whether it encourages, hinders, or at least tacitly permits the use of UAVs. Looking at the variation in Africa alone shows that advancing this field worldwide means first developing a clear picture of who is doing what with this technology and how government policies are affecting this and will continue to affect it in the future. That is why we have started this new IDRC-supported research project in order to understand this landscape, especially in the Global South, and to better inform future action. The following are our key research questions. (1) What applications of UAVs (both current and potential) are most relevant to development in the Global South? (2) What policy and regulatory challenges present obstacles to UAV deployment for development and humanitarian applications in Global South countries? (3) What factors (security, public perception, etc.) most influence policy makers in Global South countries when forming UAV policy? (4) What practical and theoretical concerns exist regarding UAVs and how do they impact policy and regulation? In order to answer these questions, we want to talk with as many people as possible who are working on UAV issues related to the Global South. That means NGOs, technologists, researchers, entrepreneurs, government officials (especially aviation regulators), and anyone else with a connection to this topic. Participation in our research will generally involve taking part in an interview and your contributions can be either anonymous or attributed as you wish. You can help us contribute to better informed, wisely regulated, and more responsible UAV deployments in development and humanitarian contexts around the world. If you’re interested, please write to Christopher Tuckwood ([email protected]) or Drew Boyd ([email protected]) to schedule an interview, share information, or refer other participants.